When will the American people lose faith in Donald Trump? That's the question at the heart of "The Confidence Man," the must-watch finale of Netflix's Dirty Money. The new docuseries investigates some of the most flagrant instances of corporate greed to date -- Volkswagen’s "clean diesel" cars, the rapid ascent of the drugmaker Valeant, and a sensational maple syrup heist, among them -- but it’s this last episode that will strike the most relevant chord with American viewers. 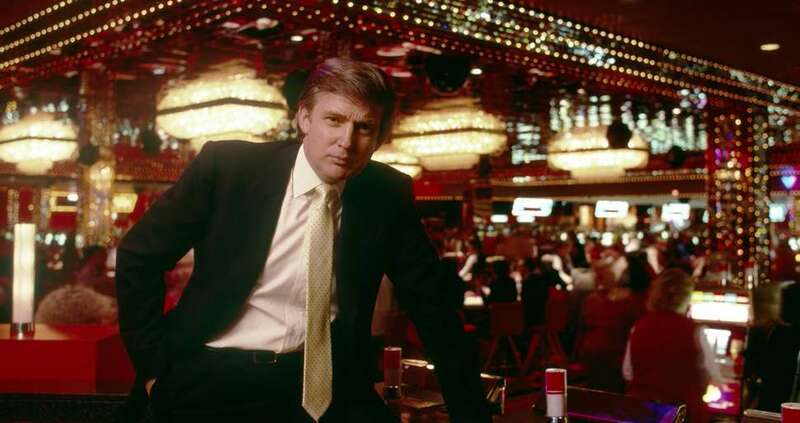 Unlike Meet the Trumps and other more personal histories, “The Confidence Man” is less a chronicle of the Trump dynasty and more a hyper-specific look at Trump's business dealings. It's ambitious and brutal but not overly complicated. Tracing Trump's developer-huckster-populist journey, director Fisher Stevens (a producer on The Cove) argues that our current president is nothing more than a modern American con man, someone who profits off his name to the detriment of the general public and who commands a reptilian awareness of the media. What about Trump's brand? It’s undeniably powerful! He built a multibillion-dollar business from the ground up! He’s one helluva negotiator! Stevens refutes the popular Trump-supporter refrains by interviewing old business partners, employees, and friends, painting a vivid picture of someone who inherits lots, cares little about the people around him, and willfully looks the other way when sketchiness is afoot. Listening to columnist A.J. Benza, you'll see how Trump played reporters to build and perpetuate his "billionaire" image. Planet Money co-founder Adam Davidson will detail how the Trump Organization brokered deals that weren't just immoral, but bad business. And former Apprentice staffers will walk you through how they created the so-called "magic" behind the popular NBC show. Though Stevens covers a lot of ground in this 77-minute doc, it's the Apprentice portion that provides the most insight into Trump's concept, and pursuit, of power. The success of the reality show, in effect, repositioned someone who was a darling in the '80s (thanks to the success of Trump Tower) and a punchline in the '90s (by which point the Trump Org was more than $3 billion in debt) to the level of Hollywood star. It was a change Trump relished. He looked like the embodiment of the American dream, a savvy businessman who ostensibly came from nothing. Really, this was a made-for-TV role. The staffers claim that everything from the boardroom to Trump's character was tongue-in-cheek window dressing meant to ape Paddy Chayefsky's acclaimed satire Network. Instead of laughing at the show's absurdities, viewers became enamored. This is not to say that The Apprentice was Trump's ticket to the White House, but the image-building wizardry that spawned a successful TV show and hero illustrates the kind of media manipulation Trump has excelled at for decades. Former New York Times journalist Tim O'Brien, who wrote a book about Trump more than a decade before the 2016 election, says Trump isn't just a 21st-century con man, he's the 21st-century con man. His weapons of choice: gossip pages, TV, social media. O'Brien likens him to Father Coughlin (who used radio to foster anti-Semitism in the 1930s) and Joe McCarthy (who used TV to foment the communist scare of the 1950s), other controversial figures who sowed misinformation, generated fear, and promised salvation. "He is someone who preys upon people's confidence in them to deliver on their dreams, to deliver on their needs," O'Brien says, "knowing full well that they have neither the ability or the intent to deliver on any of that." Those interviewed from Trump University and the Trump Network agree. Of course, the 2016 election muddied things. As those near the end of "The Confidence Man" point out, it's become impossible to discern what truly motivates Trump in terms of foreign policy and how much he stands to benefit financially from his seat in the Oval Office. One hopes he knows he's landed himself in a place where net worth doesn't translate to success, but it seems he's historically only ever been about one thing. So "The Confidence Man" becomes a cautionary tale. It finishes by razing Trump's image as a political Steve Jobs and reshaping him as someone more in league with P.T. Barnum, the conclusion being that the same artifice that dazzled viewers during The Apprentice has extended to Washington, D.C. While that's not exactly a new argument -- fans of John Oliver will feel like they're watching more in-depth cuts of his famous Drumpf takedowns, minus the jokes -- it's still unnerving. Trump commands the approval of just under 40% of the nation, and his chicanery will likely continue unnoticed amid screams of "Fake news!" As Davidson laments, "A significant and crucial part of the American people so fundamentally misunderstand the most basic principles of ethics and morality and business practices, and that, to me, is really scary because what choices are they going to keep making, again and again?" The question leaves a haunting implication: Maybe Trump's just the beginning.